For 2010, Kawasaki is importing a lighter, faster, and better-looking Z1000 streetfighter. After a year hiatus, Japanese motorcycle manufacturer Kawasaki returns to its high-performance street bike roots by bringing back the Z1000 to its U.S. motorcycle line-up for the New Year. And while the name remains the same, the 2010 Kawasaki Z1000 has been overhauled from top-to-bottom to deliver an easier and more entertaining ride for motorcyclists seeking a fun and civilized sport-oriented street bike. The Z1000 is a Streetfighter-style motorcycle, which is essentially a sportbike stripped of some of its bodywork and fitted with a standard handlebar. While they’re the rage in Europe (I’ve seen them everywhere in Italy), here in the US of A, this style of motorbike continues to struggle on the sales floor compared to their full-fairing sportbike brethren. In spite of this, Kawasaki feels it has something special with the redesigned Z1000. So once again it is being imported into the States. The previous Z1000 was a quirky bike. While there were certain attributes we enjoyed, including its spunky engine personality and sporty-yet-relaxed riding position, there were also elements that were just plain funky—the biggest complaint being its peculiar handling, excessive engine vibration and love-it-or-hate-it styling. The latest Zed-1 does away with those flukes, plus, it builds upon its fundamental fun-loving traits thereby delivering a fast, easy, and ultimately amusing motorcycle to operate. (Above) The front cowl has been widened and houses a double beam headlight. (Center) The angle of the digital instrument display is three-way adjustable. (Bottom) The Zed-1 retains its signature quad exhaust system. Based on its similar exterior profile, one might assume that the new Z1000 is simply a modified version of the old bike. But that’s not the case. The new bike uses a purpose-built engine, frame and rear suspension (more on those later). Visually designers gave it a thorough nip/tuck. The lines of the bike have been sharpened to give it a more contemporary shape. Additional bodywork was added in the form of the razor-sharp belly fairing and fork guards. The front fairing was also stretched and houses an updated double beam headlight. Towards the back, it retains a sleek high-mounted tail section with bright LED-style taillight and signature trapezoid-shaped quad exhaust pipes. The Z1000 comes in two color choices: Metallic Spark Black and Pearl Stardust White. The controls are also upgraded and are highlighted by a thick tubular aluminum handlebar, compact LCD instrumentation, and stylized brake fluid reservoir. Furthermore, the angle of the instrument display can be adjusted in three positions via a tiny plastic adjustment knob. This gives the Z1000 an elegant, yet sporty cockpit similar in appearance to the Ducati Streetfighter. The Zed-1 now uses its very own 1043cc liquid-cooled Inline-Four engine. Kawasaki claims this new engine utilizes its own architecture and is not based off either the previous bikes’ 953cc ZX-9R-derived motor or the current one found in the Ninja ZX-10R. The 90cc bump in displacement is calculated via a slightly smaller bore (77.0 vs. 77.2 mm) and a larger stroke (56.0 vs. 50.9mm). Despite the added piston stroke, the engine’s exterior dimensions are almost the same as before. Fuel charge is compressed to a ratio of 11.8:1 and the engine features hot rod tuning tricks including a 16-valve cylinder head operated via dual overhead camshafts. An internal counter balancer, driven by a gear on the crankshaft, reduces engine vibration. Intake air is captured via an air induction system that utilizes intake scoops on each side of the machine. Air funnels into the resonator chamber-equipped airbox which produces a similar sound effect to a person blowing over the top of an open glass bottle. This greatly enhances the intake sound while riding and ultimately creates a more thrilling riding experience. Air and gas are then mixed within a set of larger oval bore Keihin throttle bodies and injected into the engine via four fuel-injectors. (Above) The 2010 Kawasaki Z1000 uses an all-new 1043cc Inline-Four engine that uses its own architecture not based off either the previous machine’s ZX-9R-derived engine or the one found in the Ninja ZX-10R. (Below) The Z1000 uses a horizontally-mounted back link hydraulic shock absorber. The design allows the shock to provide more consistent damping performance. Exhaust is handled by a 4-2-2 exhaust system with a belly-mounted pre-chamber. This allows the mufflers to be lighter and more compact than before. A valve in the right muffler maximizes performance through its 11,000-plus rev range. Lastly, three emission-reducing catalyzers are also fitted within the exhaust. Engine power is shifted to the rear wheel through a cable-actuated clutch without slipper functionality and a 6-speed transmission paired to a chain/sprockets final drive system. The engine is hung within a lighter aluminum frame via a four-point mounting arrangement (one more than before). This is claimed to increase chassis rigidity and stability, as well as giving the pilot an enhanced level of feel at speed. The frame is constructed out of five pieces of aluminum and is almost nine pounds lighter than the previous model’s steel piece. Similar to the frame used on the Ninja ZX-10R and ZX-14, the Z1000 frame wraps up and over the engine which dramatically reduces the width of the bike at the seat. A new three-piece aluminum subframe complements the set-up. In the suspension department, the Z1 utilizes an innovative horizontally-mounted back-link hydraulic shock absorber. The two-way adjustable shock (spring preload and return damping) attaches between the main frame via a fixed linkage mounted on top of the aluminum swingarm. This allows the shock to be kept away from the engine and exhaust heat thereby giving it more consistent damping performance without compromising ease of adjustment. Up front a conventional Showa 41mm inverted fork offers independent three-way adjustment for spring preload, compression and rebound damping. The 2010 Kawasaki Z1000’s brakes are a mix of old and new. At the front sits a pair of 300mm diameter petal-style discs actuated by a pair of Tokico radial-mount 4-piston calipers as used on the Ninja ZX-10R. New five-spoke cast aluminum wheels measure 3.5 x 17-inch at the front and 5.0 x 17-inch at the back. Both rims are painted silver and black and feature machined and polished edges on the spoke where it attaches to the rim giving the Z1000 a custom look. The wheels are shod in OE-spec Dunlop Sportmax Qualifier D210 tires (120/70-17 front, 190/50-17 rear). Braking components are a mix of old and new. At the front, the same 300mm diameter petal-style discs are controlled via a pair of Tokico radial-mount four-piston calipers as used on the Ninja ZX-10R. A radial-pump master cylinder augments the set-up through rubber brake lines. A single-piston rear caliper mounts below the swingarm (provides a less cluttered look of the rear wheel) and pinches a 250mm disc, again through rubber brake lines. Hop in the saddle and the first thing one notices is just how low the 32.1-in. seat height feels. This aids the rider in keeping both feet firmly planted on the ground at a stop. Equally as impressive is how narrow the machine is between the rider’s legs—a clear benefit of the reengineered aluminum frame and subframe. On the road, the Zed-1 retains its signature sporty-yet-relaxed riding position, which proves a sport rider can have the best of both worlds. The frame and fuel tank feature ergonomically correct cut-outs for the pilot’s knees. The location of the footpegs and handlebar in relation the seat contribute to the commanding seating position and were well received by tall and short riders alike during the course of our ride. 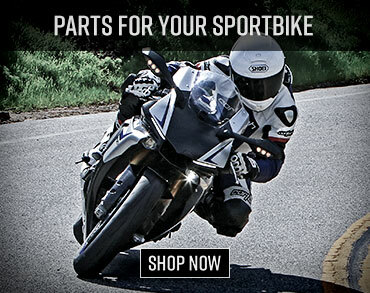 The Z1000 offers light, predictable, and easy handling on either one or both wheels. Launching away from a stop is a simple affair due to the effective action of the cable-actuated clutch and short first gear. Wick up the throttle and one instantly appreciates the Z1’s ridiculously smooth powerband. Bottom-end power is stout without being overruling and at lower revs engine vibration is almost non-existent. Keep the throttle pegged and the engine spools up leisurely, making it important to select the appropriate gear if maximum acceleration is your mission. At around 8000 revs the engine suddenly stands at attention delivering a solid mid-range push. As it does, the inside of your helmet will be overwhelmed by the addictive howl of the intake. Kawasakis have always been known for induction noise, but this Z1000 takes it to a new level. Conversely, the engine’s exhaust note is still subdued. It’s about here that the engine begins to vibrate a bit, but it never becomes irritating. As you approach redline the sound of the howl backs off slightly, but the engine continues to dole out a steady spread of unintimidating power. Aside from its robust yet mild-mannered power delivery, perhaps my favorite feature of the Z1000’s engine is its soft rev-limiter. As opposed to other motorcycles, when the rev limiter is encountered, the engine does not abruptly cease accelerating. Instead it gradually slows, signaling that it’s time to upshift. 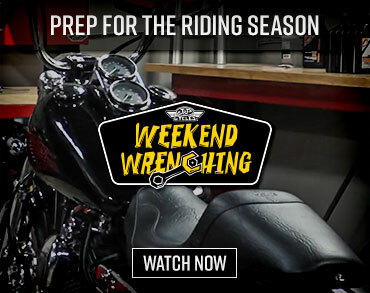 Grab another gear and you’ll appreciate the short and positive shift lever throw offered by the transmission. Although the Zed-1 shares its front brake calipers with the aforementioned Ninja ZX-10R, the front brakes don’t feel quite as sharp as they do on the premium superbike. Feel isn’t quite on par, but is still plenty reasonable for day-to-day use on the street and won’t be missed to all but the most discerning sport riders. Meanwhile the rear brake functions spot-on with ample feel which allows you to better explore the traction vs. lock-up point of the rear tire. At parking lot speeds, the Zed-1 exhibits some top heaviness which feels like it could be attributed to the top-high location of the four-gallon steel fuel tank. But as speed increases above 20 or so mph, the trait vanishes and is replaced with absolute surefootedness. Lean on the handlebar and the Z1000 dips into a turn with surprisingly little effort for a 481-lb motorcycle. Keep on leaning and the bike falls onto the side of the tire predictably—never more or less than the rider asks of it. Additional speed only exacerbates its superb handling and even triple digit speeds have little effect on its outright chassis stability, whether cornering or during wide-open straight-line acceleration. This gives the rider the confidence he or she needs to investigate the motorcycles limits. Time is best spent aboard the Z1000 on one wheel as Waheed demonstrate with his wacky yellow Alpinestars Nero boots. During the course of our street ride, the pace was never hot enough to find out if ground clearance issues plague this bike. 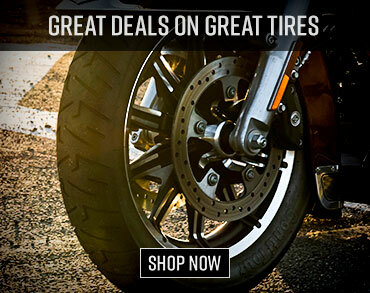 Nonetheless, the tires complement the bike’s handling well, offering outstanding and predicable grip on both wet and dry pavement. During acceleration, braking or cornering, the suspension offers excellent balance front-to-rear. Even more impressive is the way in which the rear suspension performs. It’s equally adept at soaking up rough broken pavement as it is a spirited smooth corner attack—offering the rider the best of both worlds in terms of cornering performance and ride comfort. Even though the shock doesn’t allow for compression damping adjustment, we never felt the need to change anything. Instrumentation is legible; however, we’re not big fans of the small font of the bar-style LCD tachometer. We also would appreciate the addition of a gear position indicator. The mirrors, however, offer a clear, buzz-free view of what’s happening behind you regardless of speed, which is a remarkable attribute for any street bike. Priced exactly in-line with the Ninja ZX-6R, the $10,499 Z1000 is an excellent sport motorcycle option for the street motorcyclist who isn’t planning on spending all his or her time riding at the racetrack. Not only is its $10,499 asking price the same as the 2010 Kawasaki Ninja ZX-6R, for that cost you get a bigger, more powerful motorcycle that is better suited to day-to-day life on the street. The engine is smooth, flexible, and for the most part vibration free, and it offers more easily accessible real world performance. Its cockpit is the perfect balance between sport and comfort. Handling is both playful and predicable. And the suspension, especially the rear, offers outstanding compliance over virtually every pavement surface encountered. Factor in its striking new appearance and high levels of build quality and it becomes difficult to pass on the new Z1000 when it comes time to selecting your next street bike.